WildBlue/Exede Archives · Stop the Cap! We suspect the company is uncomfortable about exposing customers to the fact Wildblue is selling “broadband” satellite service with a “fair usage policy” so strict many customers cannot actually use the service for more than basic web browsing and e-mail. Wildblue consistently ranks near the very bottom of broadband service providers rated by Consumer Reports (only HughesNet is worse). The good news is Wildblue still allows customers to use Google. Most will have no trouble finding us even when the company spends time and effort censoring a direct link. Getting Internet service in rural America can involve a whole lot more than calling the local phone company to check if DSL service is available. When it is not, satellite broadband is often the only realistic choice to access the Internet. Unfortunately, navigating through the options, terms and conditions, and restrictions requires the help of a lawyer or rocket scientist. Kevin Hanssen, a dairy farmer in rural Wisconsin is just one of a dozen Stop the Cap! readers who access us over a satellite Internet connection. He, along with others, have been writing requesting assistance navigating an increasingly confusing amount of detail about recent upgrades taking place at the parent company of his provider — WildBlue, a service of ViaSat. As Stop the Cap! recently reported, ViaSat is placing a new satellite into service that will bring improved service for certain customers. Long time customers like Hanssen have waited more than two years for company-promised upgrades that would bring better speeds and more generous usage policies. Currently, Hanssen faces a tiny usage allowance and “broadband” speeds of well under 1Mbps, especially in the evening. “As a long term customer, I have lived under a plan that gives me 7.5GB in downloads and 2.3GB in uploads, but my experience with WildBlue may be very different than other customers, because the company has so many legacy and special plans that apply to different customers, so it is very hard to say ‘this is WildBlue’s policy’ because it can vary so much,” Hanssen tells us. Indeed, over WildBlue’s history, ViaSat has changed its access policies several times, sometimes raising, but often lowering usage allowances accompanied by rate adjustments. 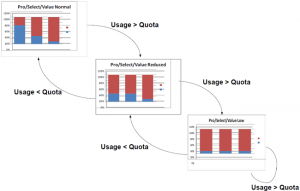 Since 2005, WildBlue customers who originally faced a simple 30-day consumption limit that reset after each billing cycle now face a combination of a usage allowance under the company’s “Fair Access/Data Allowance Policy (FAP),” and an even more confusing rolling speed throttle called the “Quota Management Threshold (QMT).” Exceeding a monthly usage allowance guarantees broadband speeds of dial-up or less. Speeds are also curtailed temporarily for customers who run browsing sessions that consume as little as 30MB over a 30 minute period. WildBlue's Quota Management Threshold starts reducing your speeds after a heavy browsing session. With the help of Cisco, which created the throttled bandwidth technology, WildBlue’s combined FAP and QMT systems make it impossible for a customer punished just once by speed throttles to completely clear their record as a ‘known bandwidth abuser’ unless they avoid using any bandwidth for a month. For most customers unequipped to fully grasp the highly technical explanations of both policies, customer service representatives boil it down to something easier to understand: the less service you use, the better the chance you will not face a speed throttle rendering your connection practically unusable. With strict limits in place, WildBlue not surprisingly scores among the lowest of all Internet Service Providers for customer satisfaction, and its nearest competitor Hughes does no better. “As you have written before, satellite really is ‘take it or leave it broadband’ — heavily rationed, confusing, and very expensive,” Hanssen says. For Hanssen and other Stop the Cap! readers who rely on satellite Internet, the promise of new capacity and faster speeds were supposed to turn “satellite as a last resort” into something more comparable to 4G wireless in America’s most rural areas. But as our readers share, there is a big chasm between marketing hype and reality for customers on the ground. ViaSat has not been content to offer customers a single brand of satellite broadband service. In addition to WildBlue itself, ViaSat markets plans under the American Recovery Act (the broadband stimulus program), co-branded service from DirecTV, DISH, AT&T and the National Rural Telecommunications Cooperative (NRTC), and forthcoming service on its newest satellite, ViaSat 1, which the company is marketing as “Exede” Internet. 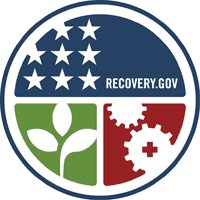 Customers west of the Mississippi who qualify for the American Recovery Act program get free installation and more generous usage allowances of up to 60GB per month. 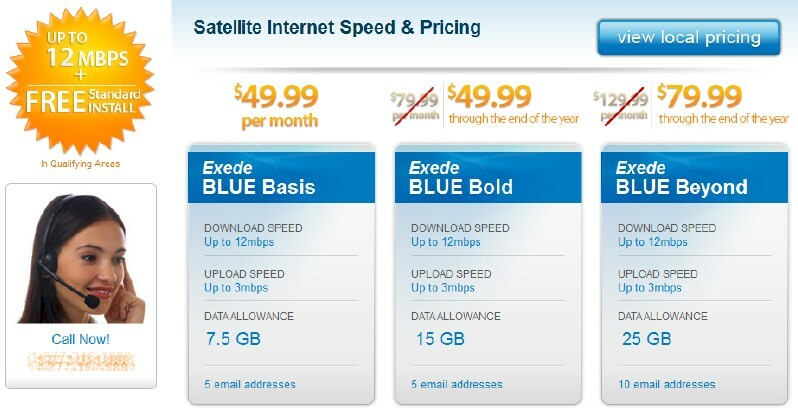 Indeed, for marketing purposes, WildBlue and Exede are two different entities, and WildBlue customers looking for faster speeds from Exede will need to pony up at least $150 for new equipment, sign a new contract, and switch to a new Fair Access Policy that actually delivers many customers a lower usage allowance than their existing service from WildBlue offers. “It’s total bait and switch, promising us faster service and then reducing the usage allowance that goes with it and adding around an $8/GB over-usage fee on Exede,” Hanssen says. For customers served by the new ViaSat 1 satellite, Exede sells service based on usage, not speed. The advertised speed (not independently verified) is 12/3Mbps, which will cost $49.99 for up to 7.5GB per month, $79.99 for 15GB per month, or $129.99 for 25GB per month. “Highway robbery I call it, because some of those caps are lower than on WildBlue so you are paying for better speed you won’t be able to use unless you agree to pay a lot more for a bigger allowance,” Hanssen says. New Customers Get Priority Over Old Ones? Customers eager to switch to the new, faster satellite broadband service report they are encountering roadblocks from ViaSat and their large independent dealer network responsible for sales and service of the satellite reception equipment. An often-heard accusation is that current customers are taking a back seat to new customers already invited to sign up. That is a charge ViaSat, through its support forum, has strongly denied. An independent dealer offers new customers a better deal. But Stop the Cap! has also learned from an independent WildBlue dealer that ViaSat is offering a bonus for dealers who sign new customers, an incentive not paid to upgrade existing ones. Some new customer promotions also offer free installation and deep discounts until the end of 2012 for 15GB ($49.99) and 25GB ($79.99) service on the new ViaSat 1. Existing customers do not get the discount pricing and have to pay a $150 installation fee for new equipment required for the new satellite. Customers within a 2-year initial contract term pay even more: $250. The government-sponsored Broadband Initiative program required WildBlue to provide a more generous usage allowance in return for broadband stimulus money. Customers learning about the new pricing are unhappy. This new Excede 12 plan is an absolute joke. 12Mbps is awesome but the top plan limits you to a up/down total of 25GB and its $129.99 +$9.99 lease fee. So what good is 12Mbps if you really cant use it? Forget Netflix, Hulu or any Video on Demand. I have DirecTV and was hoping to be able to do some streaming but there is no way. If I want to stay at the same $80/mo price point I will loose 7GB of monthly cap since the mid tier plan is 15GB combined up and down. I don’t know what WildBlue is thinking here. Come on, $140/mo in the middle of a recession? Plus there is a $149 setup fee and even customers who have been with them for 7 years, like me, has to pay it. My loyalty is not rewarded one bit. A brand new customer pays the same amount. […] We have been living with low caps on Wildblue for years, then for several years they -promise- an upgrade that will change everything. Then they up the speed to something most people don’t need, and REDUCE the amount of data available by a LARGE amount, increasing the price as well significantly. It was not what we were lead to believe. This was supposed to be an upgrade, but the speed is useless without quantity, that point has been made over and over. And it doesn’t take someone sitting all day to go over the caps. It can take a little over an hour every day for one person to go over on the current 512Kbps plan, imagine with more speed how easy the person can go over with about 23% less data available. Bottom line, it was not an upgrade, period, for many of us. Every neighbor I know is thinking the same thing, some currently drive 30 miles one way to get to a free hotspot to have enough bandwidth for online classes. The offered new plans are not enough for what they do either. Is anyone that understands the limits of satellite asking for anything unreasonable, NO. We were expecting an increase of some sort, any kind, not further insane restrictions after years of being restricted. A downgrade and overcharging is not an upgrade no matter how they try to spin it to us. If so few use what’s available as they say anyway, what would have been the harm of doubling the current caps. PERFECTLY REASONABLE EXPECTATIONS. At this point, just about anything would be better than WildBlue. Since AT&T shows no interest in bringing me DSL service, it’s probably going to be wireless broadband or nothing. We have spotty cell coverage in this part of Wisconsin, but should a provider do something about that, we would still be facing tiny usage allowances in the 2-10GB range. This is why universal service policies should extend to broadband service, to make certain rural America has reasonable access at reasonable prices. There is nothing reasonable about satellite or wireless Internet at these speeds, allowances, and prices. WildBlue wants new customers at all costs, even if they walk over their loyal customers to sign them up. But why shouldn’t they? Their only effective competition is Hughes, and they are actually worse! 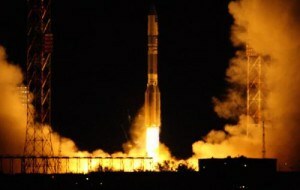 The successful launch of ViaSat 1, the new satellite broadband satellite. ViaSat, the parent company of satellite Internet service provider WildBlue, will introduce new pricing and speed packages Tuesday for its satellite broadband service. WildBlue has offered satellite-based Internet access for several years, but the speeds and heavily-restricted “fair access policy” have left many customers looking for something better. But for many satellite Internet customers, DSL or cable broadband is miles away and will be indefinitely, so any improvement in satellite broadband is good news. Madeline and her family are potato farmers, and have been for three generations. She remembers when the phone company started selling dial-up Internet access and got hooked on the Internet to get updated weather reports, trade farming information, and stay in touch with relatives. But as the web has grown more multimedia-oriented, dial-up has progressively become an intolerable way to experience it. WildBlue’s new satellite, ViaSat 1, may change the perception of a satellite Internet experience that is only slightly more tolerable than dial-up. With speeds up to 12Mbps, WildBlue’s new speed packages will finally deliver something more than the 1.5Mbps “Pro” service the company currently sells for $80 with a 17GB usage cap. ViaSat 1 has a total capacity of 140Gbps, double that of the company’s other satellite — KA-SAT. That wireless pipeline will eventually be shared by commercial, government and residential customers. With several hundred thousand anticipated users, WildBlue will continue to restrict usage even with the new capacity. No word on what specific limits will be put in place, but it is likely customers will at least enjoy a speed boost from the new satellite. ViaSat hopes to economize using web compression technology and other traffic management techniques to make efficient use of the satellite’s broadband capacity. Madeline went back to dial-up and frequently visits some nearby relatives who receive Internet from a Wireless ISP. Features Good for e-mail and basic web browsing only. 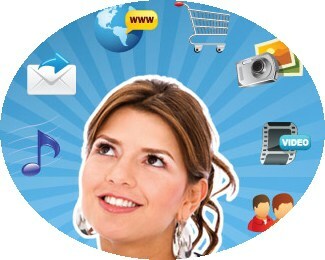 Better for frequent e-mail use, web surfing, music downloads, online shopping, and sharing photos. The current top of the line plan delivers slightly better speed, but more importantly, a more generous usage allowance. WildBlue.net Portal Your WildBlue.net home page will bring you a mix of news, weather, sports, and entertainment, plus powerful features that you can customize, all brought to you through a single web page powered by Google. You’ll have access to more than 2,000 Google Gadgets that you can add to your customized home page. (optional) 10-hour package of remote-access dial-up for $7.95/month. *A “threshold” (a/k/a “usage cap”) is the amount of data that you can upload or download in a 30-day period before WildBlue’s Fair Access Policy (speed throttle) applies. Get government subsidized satellite "broadband" at speeds up to 1Mbps, as long as you honor strict usage limitations. 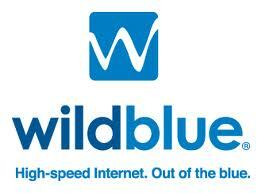 WildBlue’s same great service at an ultra-low price, courtesy of the U.S. government. WildBlue, through the U.S. Recovery Act brings a special offer for high-speed Internet to areas unserved by wireline providers. It’s the most affordable deal we’ve ever offered, and the monthly price for this special package is guaranteed for as long as you remain a WildBlue customer. Take advantage of government funds to get High Speed Internet at discounted rates. WildBlue explains the limited-time offer is made possible by funding from the American Recovery and Reinvestment Act of 2009. Through a grant from the Department of Agriculture’s Rural Utilities Service (RUS), certain rural customers might qualify for the discounted pricing. WildBlue only received authorization to deliver the discounted service to locations west of the Mississippi — specifically those not within an existing RUS project zone, are located in a defined rural area, and cannot receive service from a telephone, cable, or fiber provider. Current WildBlue customers also do not qualify. The grant funding covers installation and equipment charges, the client only pays for the service itself. But would-be customers are required to commit to at least one year of service or face an early termination penalty and must pass a credit check. WildBlue customers, as well as those of other satellite providers, have given satellite Internet access low satisfaction scores, primarily because of speed and usage limitation issues. But for some without any other choice, it is a service they live with for basic web access. Dream On: WildBlue's home page shows a user thrilled about an Internet experience she'll never truly enjoy with a monthly usage limit at low as 2.3GB. Exceed it and face the consequences: WildBlue's Time Out Corner: a speed throttle delivering 128kbps downstream and just 28kbps upstream. When is broadband not broadband? When it is delivered by hopelessly overloaded and underpowered satellite providers that annoy their subscribers with high prices and low usage allowances. Most satellite broadband customers live in America’s most rural areas, literally miles away from the nearest telephone exchange and often hundreds of miles away from a town with cable broadband. Even wireless Internet providers can’t find enough customers to justify the costs of delivering service. Choose the least annoying satellite provider you can afford. Just over one million Americans have stuck it out with choice number three, paying twice as much wired Americans pay for broadband and getting just a fraction of the speed and use. But both providers claim that is all about to change. For Stop the Cap! reader Adele in a rural part of Arizona, she’ll believe it when she sees it. If you have multiple computers and Microsoft determines it has a lot of screw-ups to fix, the monthly updates can easily run into the hundreds of megabytes when every computer receives their individual updates. HughesNet’s “budget” Home and Pro Plans cost up to $70 a month and only include a daily allowance of up to 300 megabytes. It’s no trouble at all to exceed that usage on increasingly large web pages loaded down with video advertising, pop-ups, and other content. Now deal with Microsoft Update Day and in our house, that means you get a good book and stay offline. If she doesn’t, HughesNet inflicts a stinging punishment — 24 hours in the time out corner with barely dial-up speed penalties for exceeding the limit. But both satellite providers promise better days ahead when their newest satellites are launched into space. The New York Times notes WildBlue’s next generation of satellites will bring 10 times the capacity of its three current satellites combined. That opens the door for faster satellite broadband, according to both companies, without price increases. HughesNet believes satellite broadband’s best days lie ahead, especially as a contender in the rural broadband market. Can a new generation of satellites save satellite broadband? One question the Times didn’t ask is whether increased capacity will mean the end of so-called “Fair Access Policies” that strictly ration the amount of browsing customers can manage before the speed throttle punishment begins. Neither company is saying. The sudden interest in satellite broadband in the nation’s paper of record is no coincidence. Both HughesNet and WildBlue are upset they are not getting a bigger piece of the broadband stimulus pie. The Times notes just $100 million out of $2.5 billion in U.S. Department of Agriculture grants for rural broadband will go to satellite companies. Raising the question in a newspaper widely read in Washington can’t hurt your cause. “For every one of those people, there are literally hundreds more who won’t have access to stimulus funds,” he said. But Joseph Freddoso, president of MCNC, the nonprofit group that manages North Carolina’s public education technology network, said satellites were not an ideal primary service for his users, who require a more reliable network for their research and data-heavy applications. “To compare what we do with what satellite does as a service is an apples-to-oranges comparison,” Mr. Freddoso said, adding that the grant will serve one million students in 37 counties. Adele is concerned that means even more people will fight for the limited resources satellite has until the next generation of satellites get launched, especially for rural customers trying to share a spot beam in North Carolina. Adele is referring to the satellite providers’ regionally-directed signals. Much like how satellite TV companies can deliver local stations within limited regions of the country, satellite Internet service can be divided up and delivered to certain parts of the United States. One beam might serve rural Louisiana, another could be directed to northern California, and so on. Once a region’s capacity nears saturation, speed and performance suffers. In areas where capacity remains underused, the service performs better. Regardless of the promises for enhanced satellite broadband, most cable and fiber broadband providers spend no time pondering the competitive impact, because there is none. They plan to continue ignoring the likes of WildBlue and HughesNet for years to come. Kevin Laverty from Verizon told the Times their FiOS fiber network is expensive to deploy but is light years ahead of satellite when it comes to speed and easy upgrades. A spokesman for Time Warner Cable said cable broadband speeds already easily exceed the satellite providers’ proposed new speeds, so they have nothing to worry about. For most satellite customers, WildBlue and HughesNet are not choices, they are realities if rural Americans want to participate in the broadband revolution. Should Adele’s local phone company offer her DSL or a wireless broadband provider arrive to deliver service, would she switch away from HughesNet?